Install the remote lever onto your handlebar. Do not exceed 2-3 Nm’s of torque. Make sure to check for clearance between the remote lever and any brake or shifter controls. Use a 3mm hex wrench to tighten the lever. Note: The remote lever can be used on either side of the handlebar. 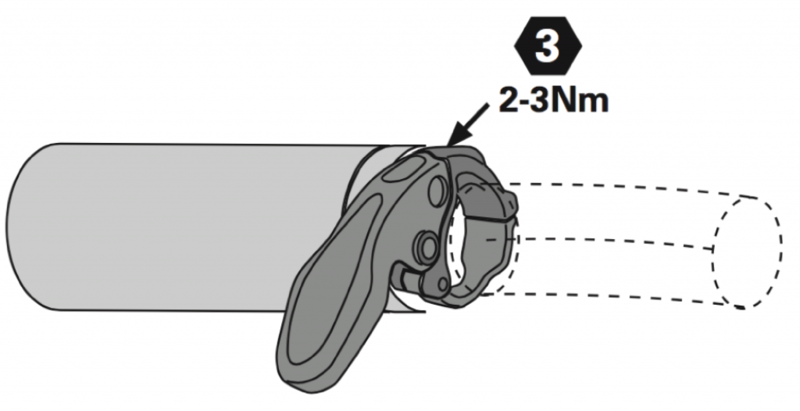 Refer to the handlbar manufacturer’s instructions for use on carbon bars.